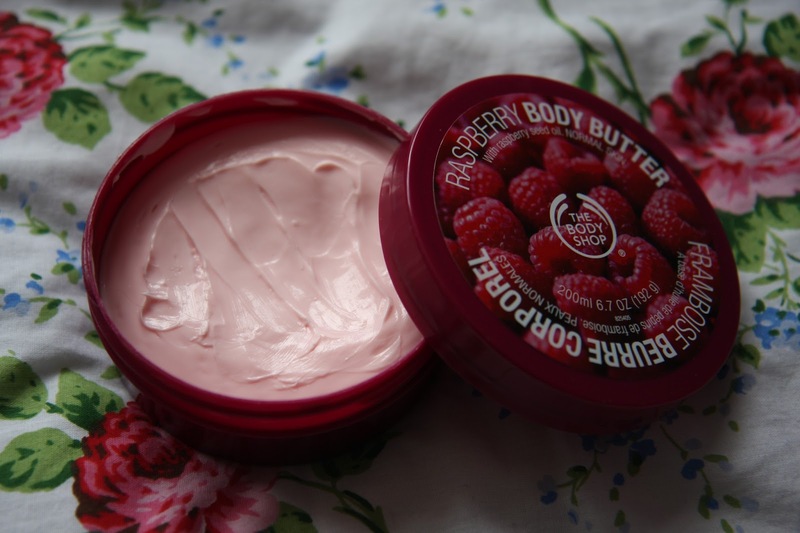 The Body Shop's raspberry body butter is a prime example of one of those annoyingly brilliant products, annoying due to being limited edition. Now I got this back in March for my birthday on a seasonal offer, I think it was reduced to around £5 online and the offer seemed too great to miss. Like all of the other body butters (my other favourite being pink grapefruit) it is super moisturising without being too heavy. It fits the bill for 'normal skin', which I would interpret as being the middle ground between oily and dry skin. The scent is incredibly vivid and lasts on your skin for a while, something worth noting as it can be considered quite overpowering. Putting this on after a hot shower before bed is when I use this most, as I wake up with lovely soft skin that smells nice and fruity. As this isn't currently available, I thought recommending you different variants of the product would be a good idea. For really dry skin types I would recommend cocoa or mango over this primarily due to its availability, but they smell delicious too. Normal to dry types can indulge in the strawberry variation and if you're fortunate enough to not have those dreaded dry patches, perhaps a lotion would suit you better. I have gone through many small bottles of the mango whip body lotion as they are moisturising without being too thick or heavy, so therefore suit the rarely appearing summer months. If you're still after a raspberry kick, I'd go for the pomegranate and raspberry scented candle. I'm not all that into candles as such as I have a huge paranoia regarding fire but every time I go into store I always give it a smell. It's gorgeous! If you simply love the famous raspberry taste, I'd go for their lip balm or lip gloss instead. I have the lip balm and it is super moisturising without being overly sticky, so has a great balance. Another thing I must add is subscribe to the Body Shop emails! They email offer codes all the time, as well as featuring new products. 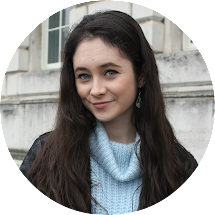 I have bought so many last-minute birthday presents using their reduction codes and never felt guilty afterwards! Wait until you get a 40% off code until you buy (or mass-buy in many cases.) You'll feel so much better afterwards..that is both economically and in terms of 'softability'. Yes, that is a relevant word. If you find the body butters from the Body Shop a bit on the pricey side, I would go and purchase some from Superdrug instead. I adore their body butters; they're sold for a much cheaper £3.69 for the same quantity of product and are currently on 'buy one get one free'. Go go go! My favourite one from their range is the cranberry and pomegranate version. 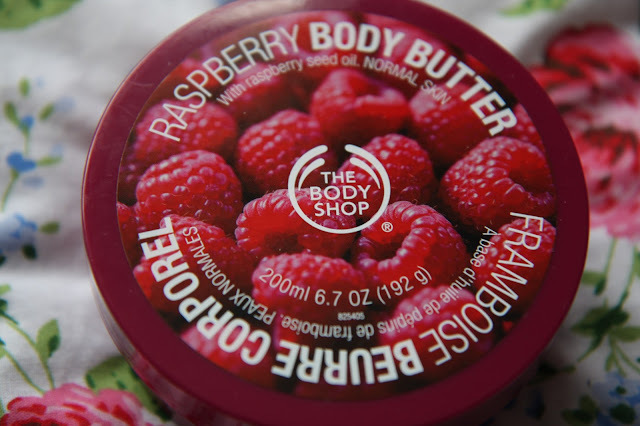 Have you tried any body butters from the Body Shop? Which one is your personal favourite? disclaimer: this post is not sponsored at all, I highly doubt the people at the Body Shop or Superdrug even know I exist! I just love body butters and lotions though, my collection is ever-growing and my skin to this day will remain soft thanks to their stuff. Ahh I love the Body Shop body butters. Haven't owned one in a while though. I absolutely love their satsuma scent!